The Angolan President, Mr. Joao Lourenco, says that his country will deepen bilateral and multilateral relations with Nigeria and other African countries. Dr. Eustaquilo Quibato, the Ambassador of Angola to Nigeria, made this known in a statement on Monday in Abuja after a courtesy call on Nigeria’s Foreign Affairs Minister, Mr. Geoffrey Onyeama. 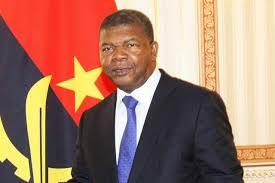 According to the Angolan leader, the Angolan Government will revamp diplomatic ties with her neighbouring countries. Lourenco said “the integration of Angola in the world presupposes the deepening of bilateral and multilateral relations with all countries”. He said that Angola was strengthening scientific and technical cooperation for development and the contribution to the elimination of tensions and conflicts in our region, in Africa and in the world. “With regards to relations on the African continent, priority will be given to neighbouring countries on the basis of good neighbourly relations and cooperation. “Given their proximity, these are important relationships for the defence, security and development of the southern sub-region, without neglecting, of course the South African countries with which Angola shares geopolitical affinities,’’ he said. According to him, the African Union is a very important place for Angola and for that reason his country will remain one of the biggest contributors to its budget. “We will conduct a policy of approximation to the countries of the Economic Community of West African States for the exchange of information in the field of security, for the prevention and combating of terrorism. “Angola must therefore maintain its role as an important factor in the maintenance of peace in its sub-region, acting firmly in the organisations of which it is a part,” he said. He said that because of its historical importance and the need to continue cultivating the forged ties, the relationship with the Portuguese-speaking African countries would always be present in Angola’s options. Lourenco said that the government was working to ensure a greater presence of Angolans in the UN system, the AU and other regional organisations aimed at training and monitoring of young Angolans for future diplomatic campaigns. He said the president also pledged that Angola would invest decisively in the education sector to reduce its illiteracy rate. The president said that administration would focus on strengthening of patriotic sentiment and national unity as essential factors in the affirmation of culture and identity. Lourenco said that the government would continue to prioritise the preservation of national unity and cohesion, the preservation of peace and stability and the reduction of urban crime and juvenile delinquency rate. According to him, Angola will focus on modernising the Armed Forces and taking solid steps towards the creation of a defence industry. He stressed the need for transparency in the performance of public services and public servants, as well as the fight against economic crime and corruption that is rampant in some institutions at different levels. The Angolan leader said that the government would ensure the adoption of policies of economic and social inclusion, which necessarily involves the protection of workers.